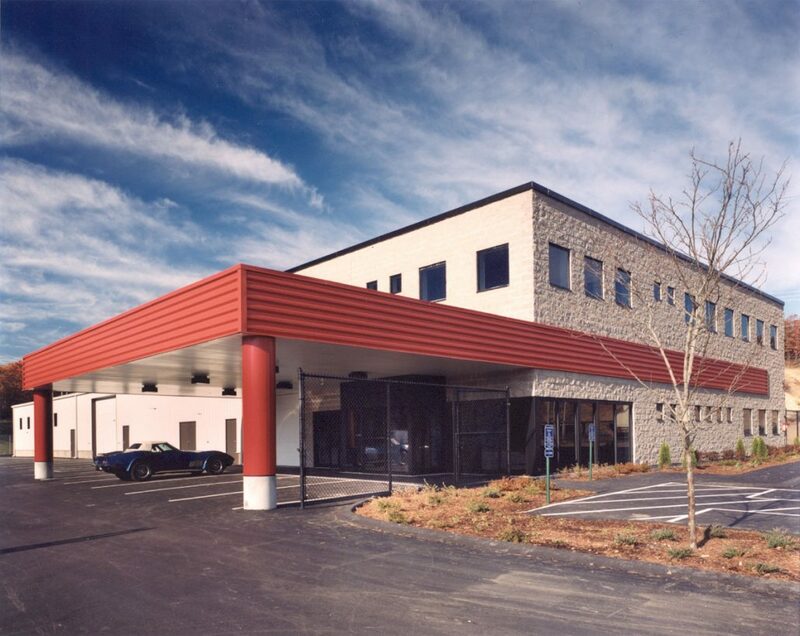 The King Collision Superstore is one of the largest state of the art automobile collision repair facilities in New England. It contains thirty car repair stations, a separate insurance appraisal bay, customer service area and car rental agency. 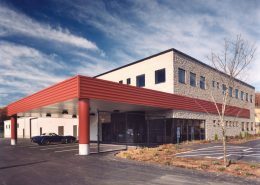 The building is a hybrid design consisting of a 8,000 square foot office building of traditional load bearing concrete block connected to a 12,000 square foot metal building. It was designed and built in just seventeen weeks. 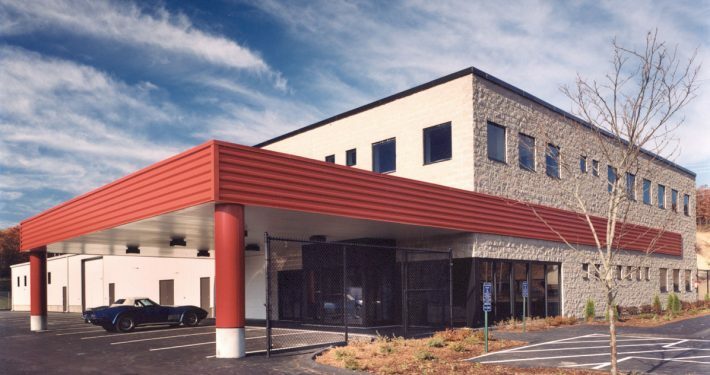 Callahan/Hoffman worked closely with the subcontractors and repair equipment vendors on a design/build basis to coordinate installation of all the equipment and mechanical systems. The design of the metal building had to be carefully engineered to accommodate the significant load on the structure generated by two six inch gas mains, vacuum system, compressed air, water and power systems that supply the thirty repair stations.